– Bonus 33% More! 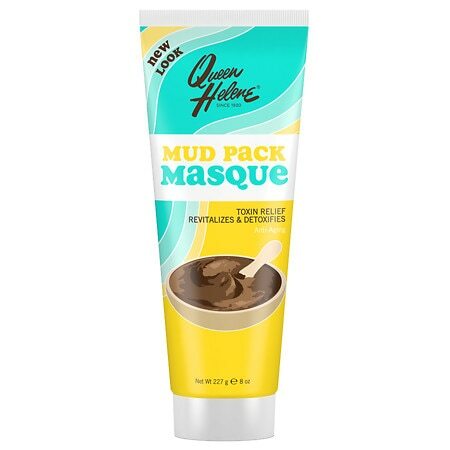 The Original Mud Pack Masque With Natural English Clay Mud Pack Masque Is The Original Old-Fashioned, Time-Tested Earth Facial Treatment With Imported Natural English Clay, That Will Work Wonders For Your Skin. – It Helps Tighten Loose, Sagging Skin On Your Face And Neck And Relaxes Tired Face Muscles To Soften Lines And Wrinkles. – It’s A Very Effective Pore Cleanser. – Enjoy A Mud Pack Masque Facial As A “Pick-Me-Up” When You Feel Tired, When You’re Preparing To Go Out For The Evening Or Before Going To Bed. – Your Skin Will Have A Clearer, Smoother, Youthful Looking Complexion. – Queen Helene- Environmentally Concerned Made In Usa No Animal Ingredients.